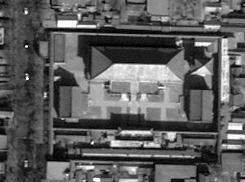 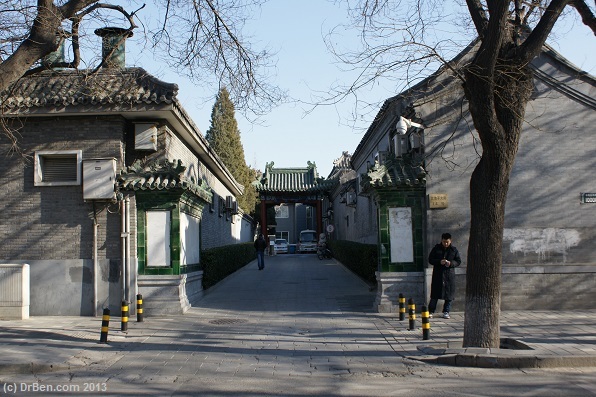 Number 46 of Beichizi Street is the address of the Ninghe Temple. 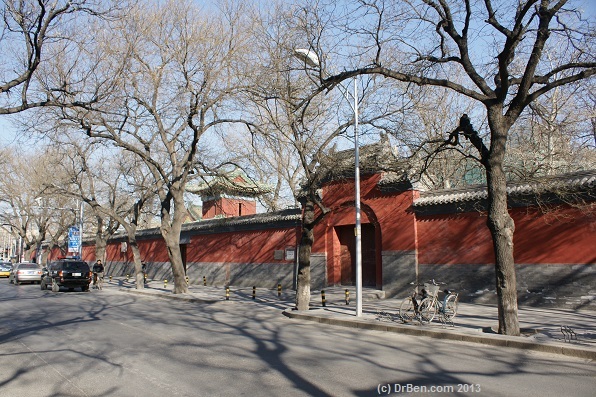 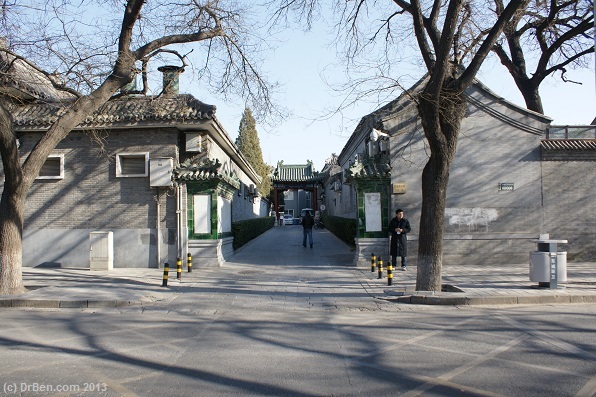 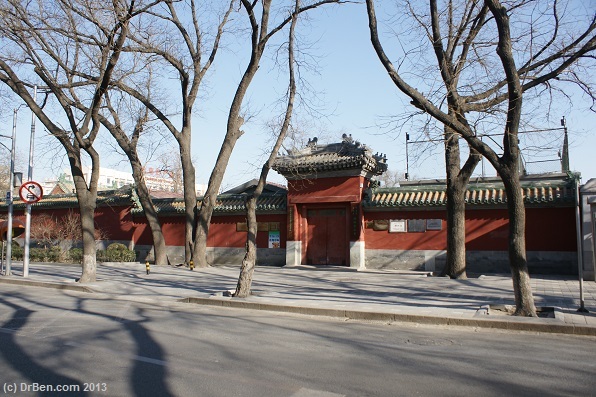 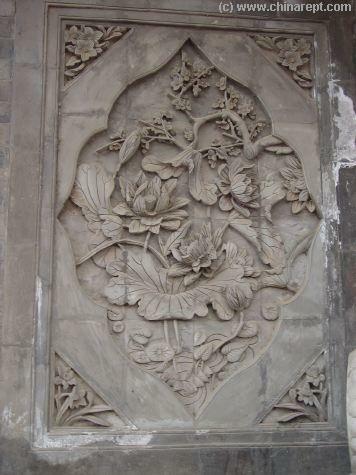 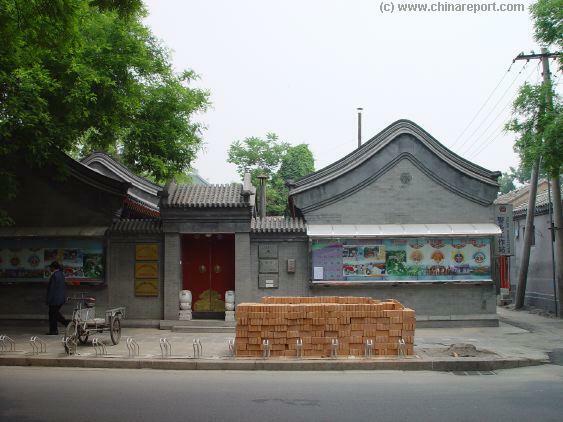 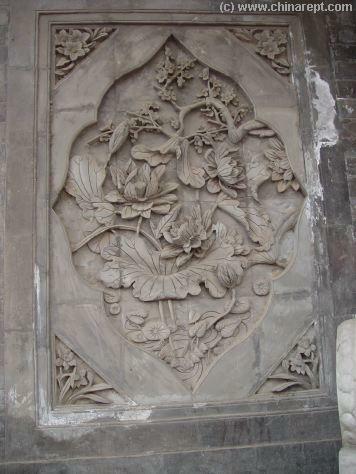 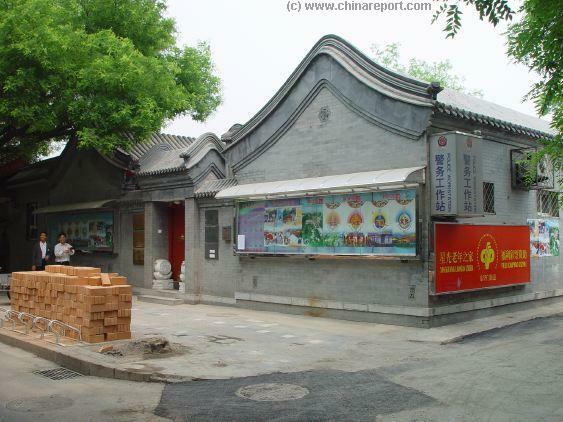 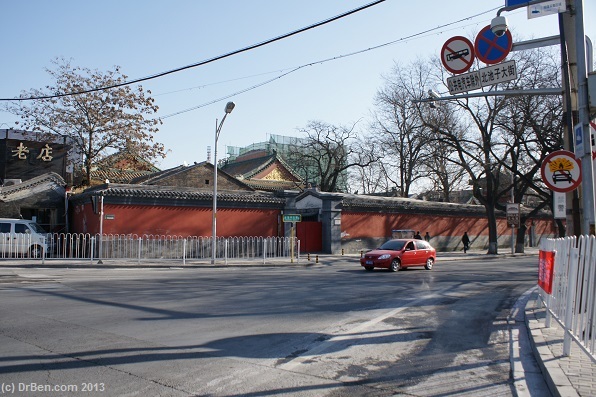 Constructed in the years of the Yongzheng Reign of the Qing Dynasty (1730 AD) it used to be a Daoist Temple of Imperial Rank signified among things by the expensive green glazed tiles covering the roofs of all pavilions and structures. 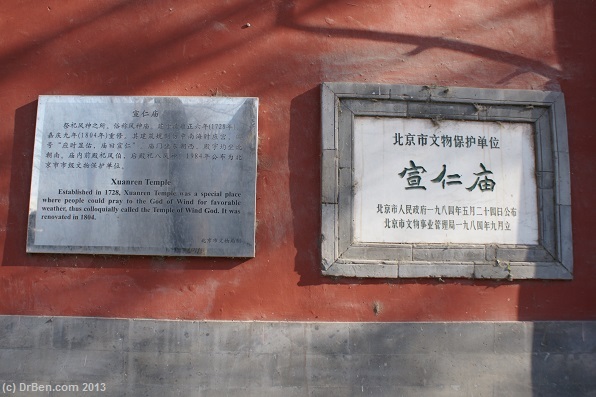 In the far feudal past, right up to the end of the Qing Dynasty in 1911 AD it was the place to make sacrifices to the Daoist God of the Clouds and as the plaquette nailed adjacent the main gate today ads was popularly known as the Temple of the God of Clouds. 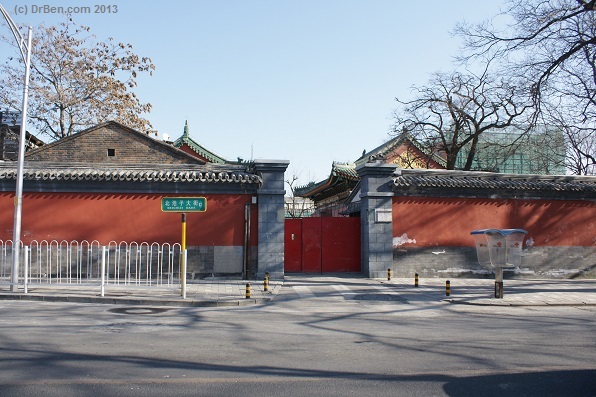 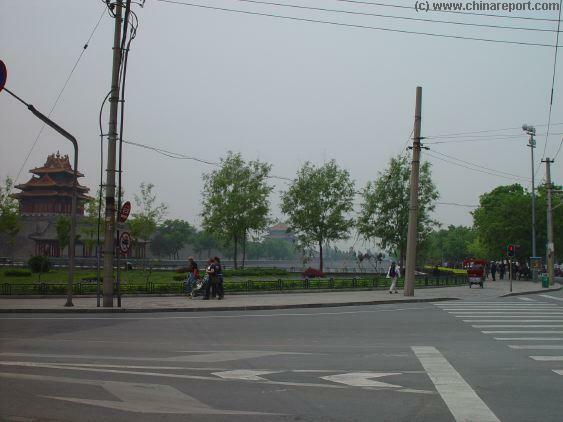 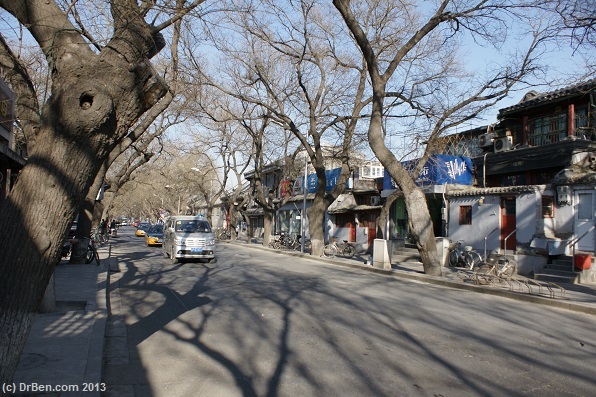 After the Fall of the Qing Dynasty in 1911, soon followed by the Rise of the former Qing General who had betrayed the Dynasty by helping to force their abdication (the so called " Republican Era") the function of the Temple and its grounds were changed into an expensive Private School. 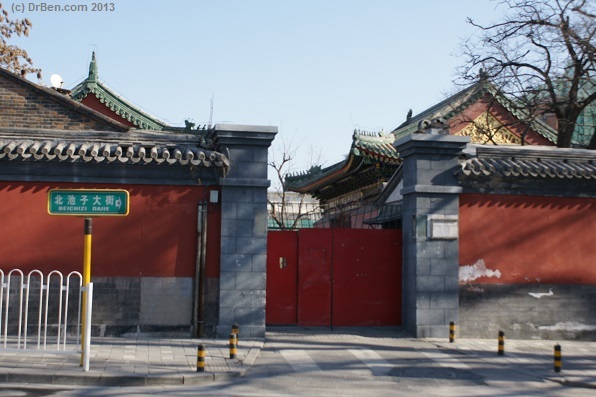 Still not open to the general visiting public it is in use as a school today. 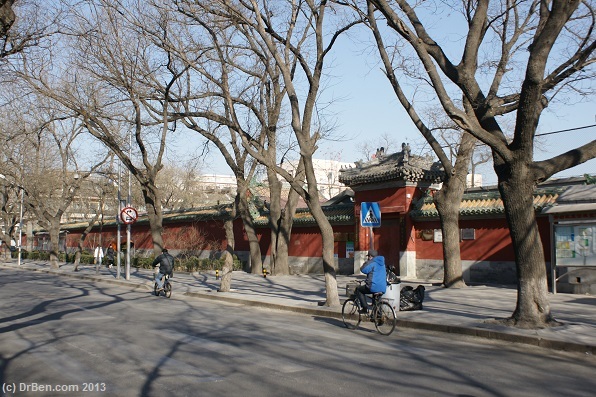 Of the original Temple, only the Principal Hall and the so called Imperial Pathway in front of it remain intact and preserved. 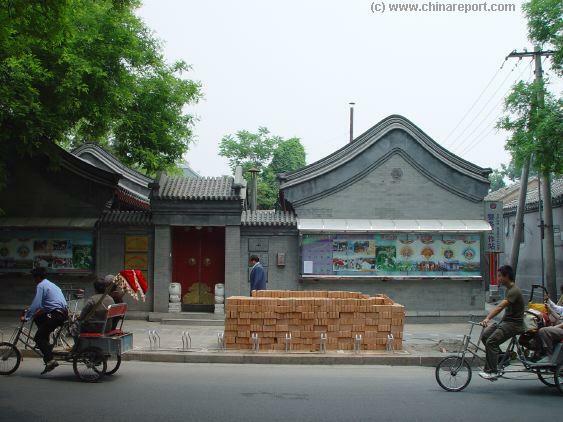 The rest of the Temple grounds have been changed beyond recognition adding various small pavilions. 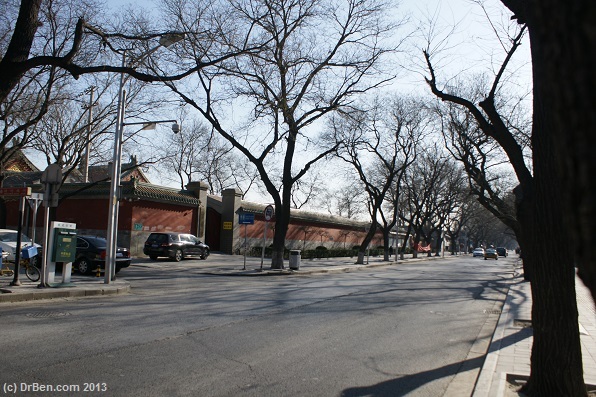 Just a hundred meters or so north of the former Daoist Ninghe Temple of the God of the Clouds stands the former Xuanren Temple, another Qing Dynasty Era Temple that was a part of the extened "Imperial City" that came into existence during the succesful 17th and 18th century reign periods of the Manchu led Qing Dynasty. 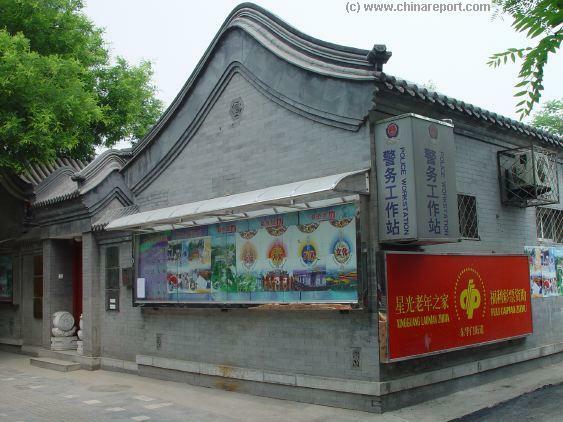 Constructed 2 years previous to the Daoist Xinghe Temple, the Xuanren Temple was a Daoist Temple entirely dedicated to the God of Wind and thus known as the Temple of the Wind God. 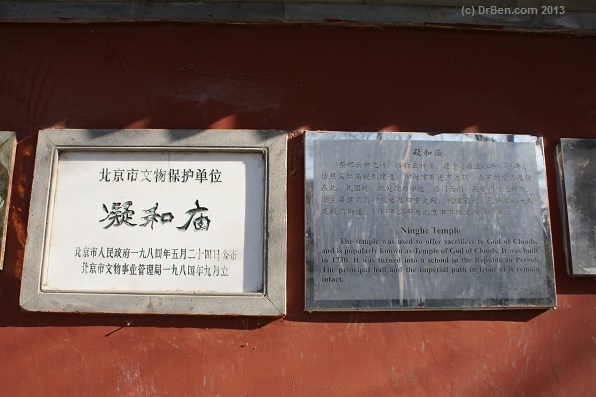 The Temple was renovated in the year 1804 AD, and so far not much is known of its use and function since. 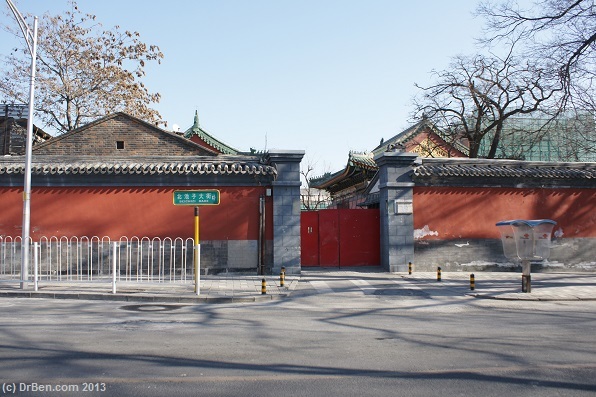 In the last 10 years the Temple grounds, the roofs and pavlions behind the usually sealed doors in thick red walls surrounding the compound, seem to have been repainted and renovated again.